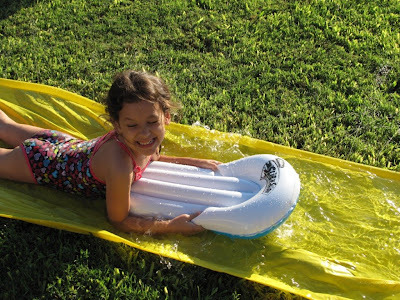 Silly Mommy : Slip N Slide! 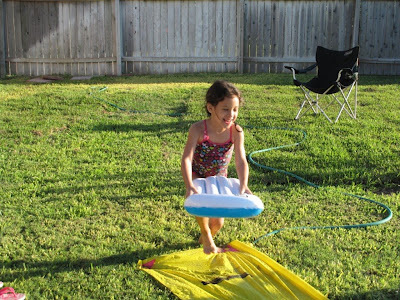 While visiting Grandma & Grandpa last week, the kiddos had a blast slippin n slidin. 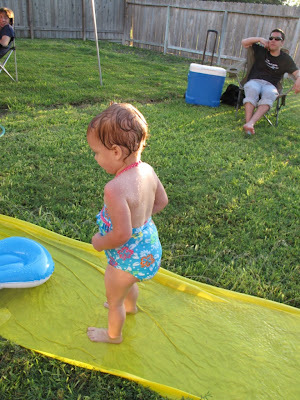 . .
After an hour or so, we noticed Cali's diaper bulging. . .we had just barely arrived at my parents home in Corpus when I realized I had forgotten to pack her swim diapers. I honestly thought it would be fine because they weren't swimming. I didn't think her diaper would get soaked that bad. Well, I was wrong. 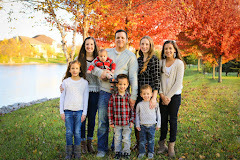 . .
More Corpus posts to come. . .we had lots of fun with both sides of the family and I have a lot of catching up to do! I didn't know that a diaper would burst. I guess that Cali found out that they will. 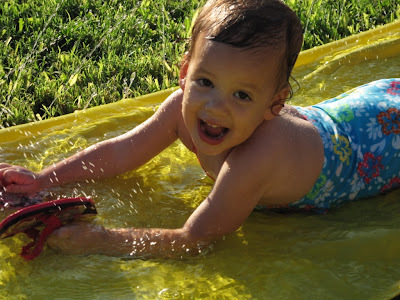 Slip and slide is the best. Except in diapers obviously. That is the funniest thing. You showed us those balls like snow cones. I am dying laughing. I remember how big a diaper can get in water. They can hang passed their knees. Good times for your youngins. Love the diaper... I remember those days....Snow cone gone wrong... too funny! 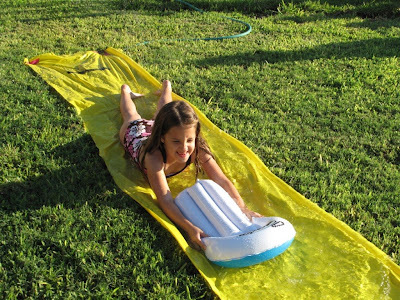 Except that the ground is so hard, I'd be a big slip-n-slider myself! Fun times, bulging diaper and all! Love it! 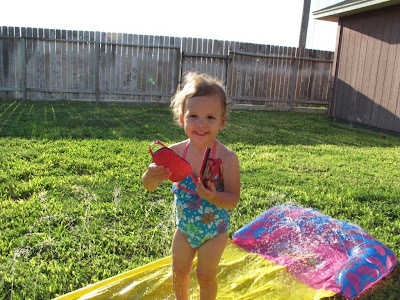 My mom has a pool in her backyard and every once in a while Sarah swims in Huggies there. Once my mom thought it would be a good idea to give it a good squeeze before taking it off. Needless to say, it was a DISASTER! We had to use the hose too! Love the exploding diaper! I can't wait to see more pictures. 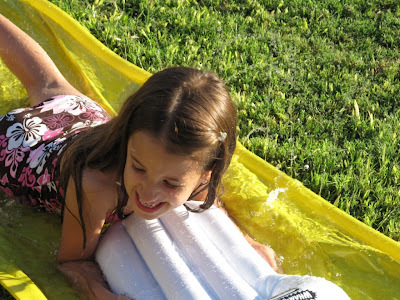 Slip and slides are soo much fun. Sounds like you guys had a fun time in Corpus. 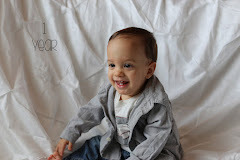 I have such cute grandchildren!! The pictures are so bright and colorful. That diaper mess was hilarious!